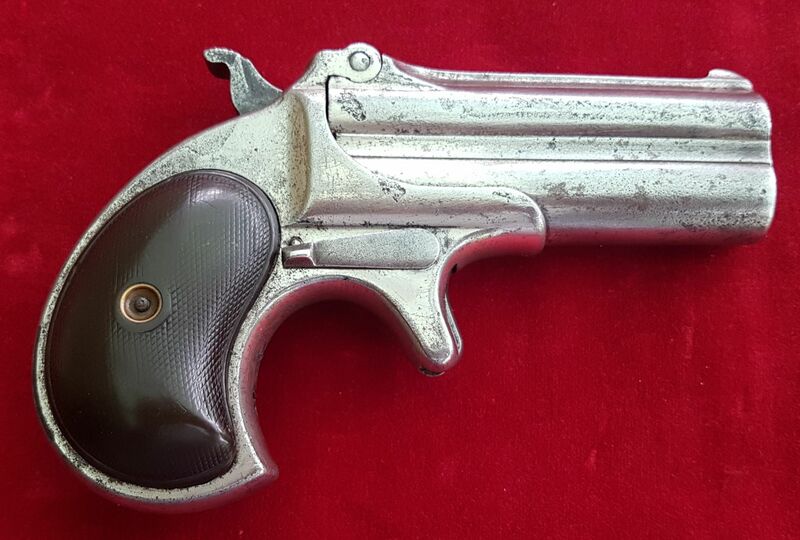 X X X SOLD X X X Remington .41 rim-fire over and under gambler's Derringer pistol. Ref 1468. 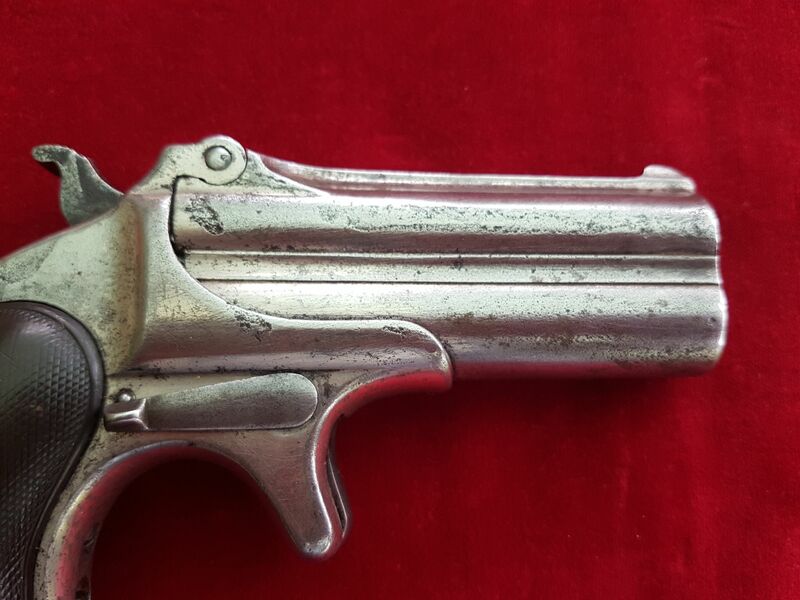 A good Remington .41 rim-fire double barrelled over and under gambler's Derringer pistol, Circa 1885. 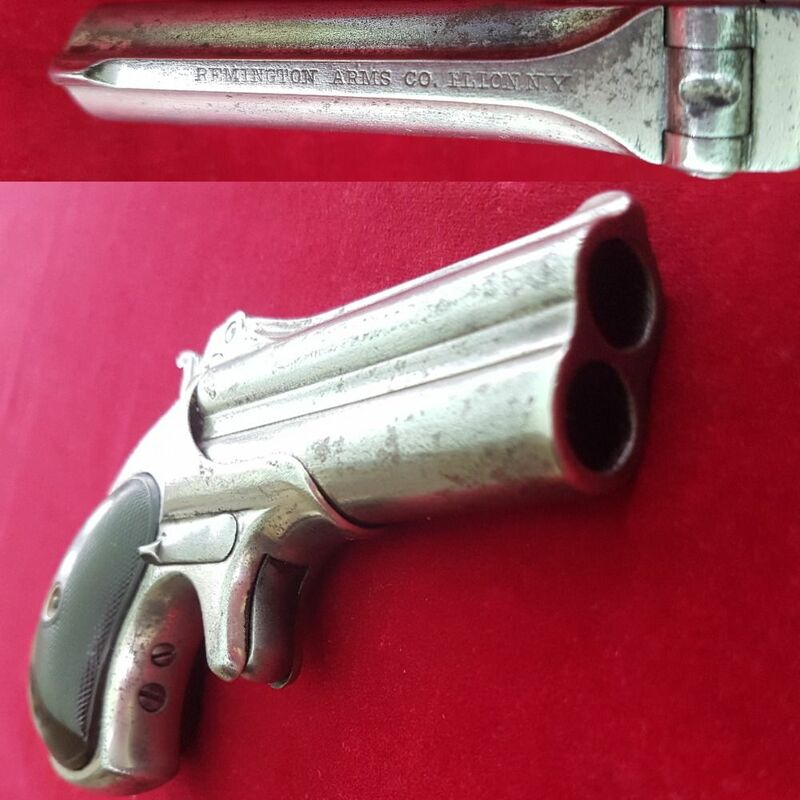 Engraved on the top of barrel Remington Arms Co. Ilion. N.Y. Finely chequered black grips. 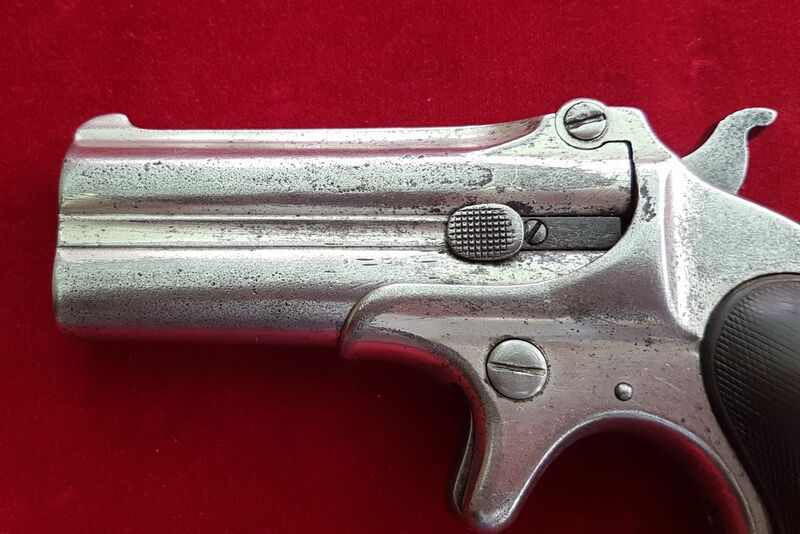 Because of its small size and ease of concealment it became very popular in the East by gentlemen who felt the need for small defensive handguns. 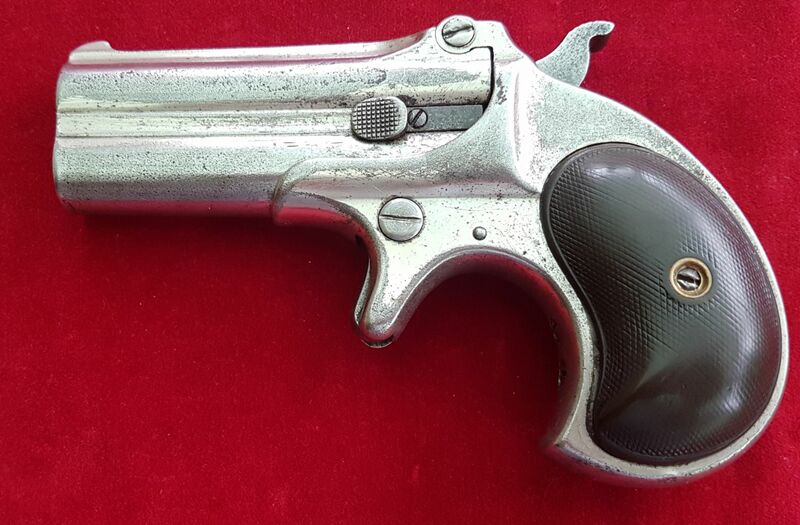 It was also well liked by women who wanted an easily concealable gun that could fit in a fur muff or handbag. Out in the wild west, they filled the need of gamblers of the day and gunfighters who needed a backup hand gun. It was easy to employ from its hidden location in a boot top or vest pocket. According to Capt. Joseph Bourke who was an 1880’s Arizona lawman, packed as many as ten small derringers secreted on his person at a time. 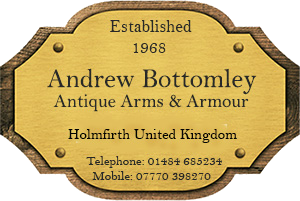 In good well used condition showing some signs of genuine wear. Good working action. Overall length approx 5 inches. Ref 1468.